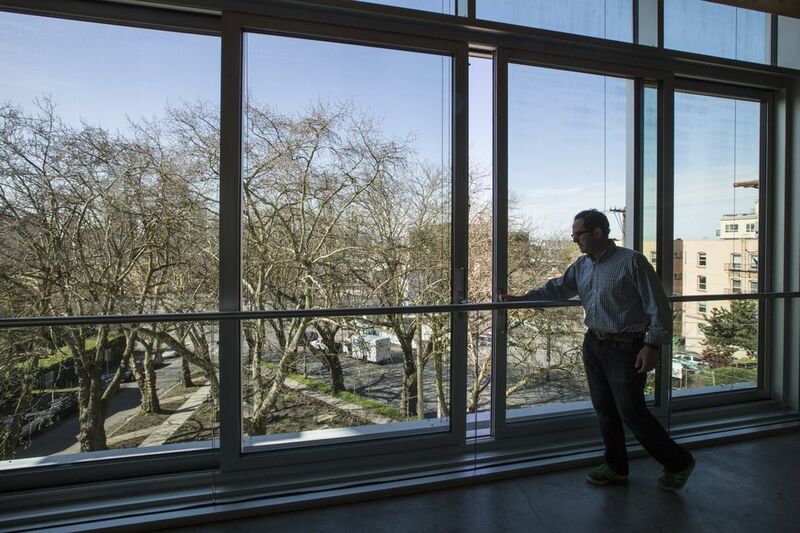 Two years after opening, Capitol Hill’s Bullitt Center is running so efficiently that tenants paid nothing for electricity and the building generated 60 percent more than it used. 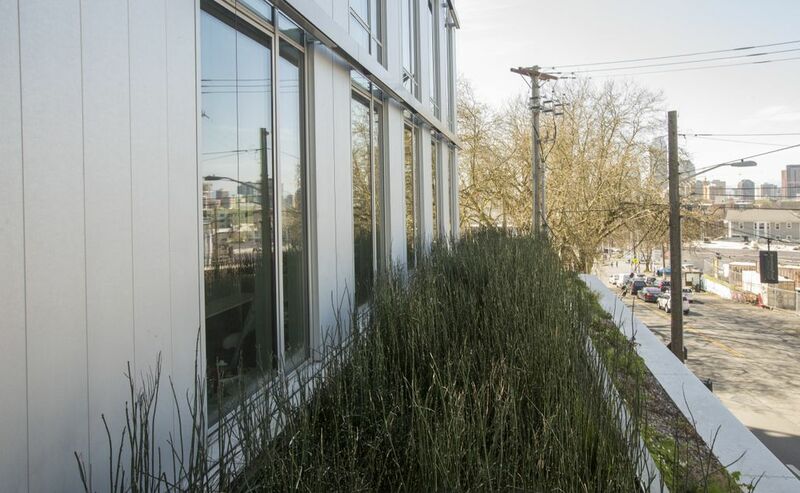 When the Bullitt Center opened in Seattle’s Capitol Hill neighborhood two years ago, the six-story office building was hailed as one of the greenest on the planet. Now, Bullitt has the data to prove it. Last year, the building generated 60 percent more energy than it used. Its “energy use intensity,” a widely used metric among property managers, was 9.4 in the first year, compared to a score of 60 for a typical Seattle office building. The property’s owner, the Bullitt Foundation, says the building is succeeding financially, too. Cost to acquire and build: $625 per gross square foot, including interior improvements for tenants as well as sustainability features. “It has to make money, and it is,” said Bullitt CEO Denis Hayes. The foundation, which has a $110 million endowment, spent $32.5 million to complete the Bullitt Center. The building is now 90 percent occupied. Tenants are sharing in the center’s success: Last year they paid nothing for electricity because all of them met their “energy budgets,” Hayes said. In the future, tenants who don’t exceed their budget will receive a rebate check based on the amount of square footage they lease. 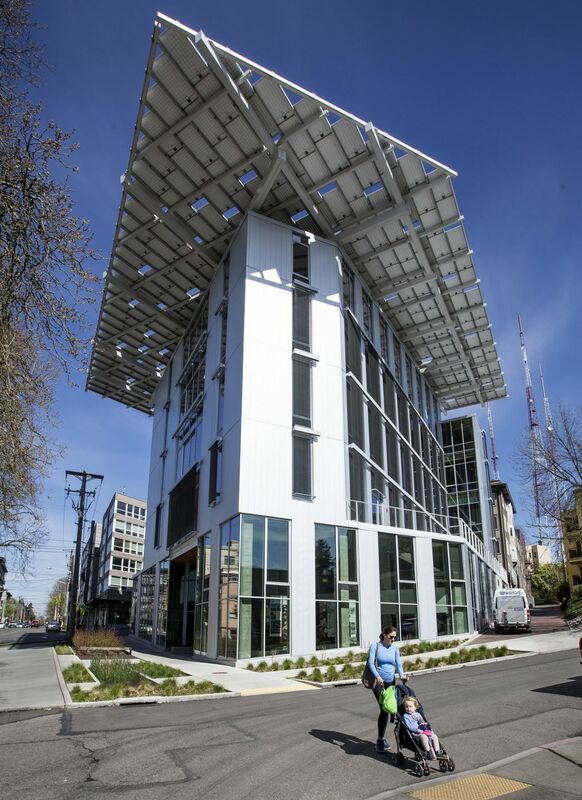 To attract more sustainable development like Bullitt, the city is formulating legislation that would offer super-green buildings more flexibility from regulations, potentially lowering their costs and helping them compete with conventional buildings on rents. 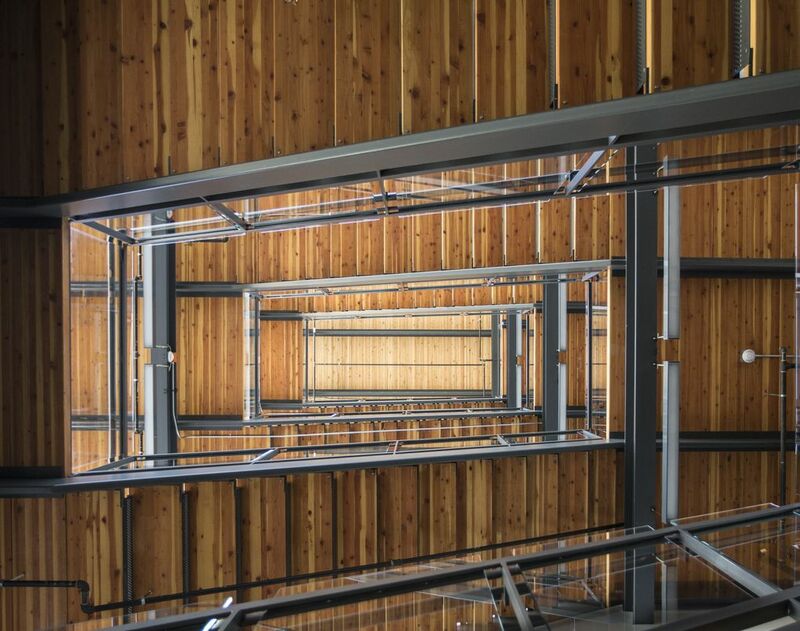 Bullitt hopes to spur governments, universities and other institutions to aspire to meet the Living Building Challenge, a certification for ultra-green buildings. That’s why the foundation is disclosing the building’s financials and lessons it learned in a new report. “This is a building that makes great financial sense now for institutions,” Hayes said. Bullitt isn’t alone in pushing the industry to aim higher: Stone34, which Skanska USA developed for Brooks Sports, is a cutting-edge green building in Seattle’s Wallingford neighborhood that also was successful commercially. Still, veteran developers are skeptical. Developers who follow Bullitt’s example don’t have to do as much pioneering research on how to build a super-green building. Bullitt freely shares how its team solved tough problems, even giving away a list it compiled over two years of building products free of more than 300 toxic chemicals. A computer manages the building’s temperature like an orchestra conductor: Venetian blinds and windows can be opened or closed to regulate daylight and room temperatures. The floors have radiant heat. The energy comes from 26 geothermal wells that go down 400 feet and a massive array of solar panels on the roof — one that Bullitt says it’d pare back if it could do it over. The foundation said it also had to work through regulatory hurdles with city agencies that had never been asked permission to unplug from their utilities. 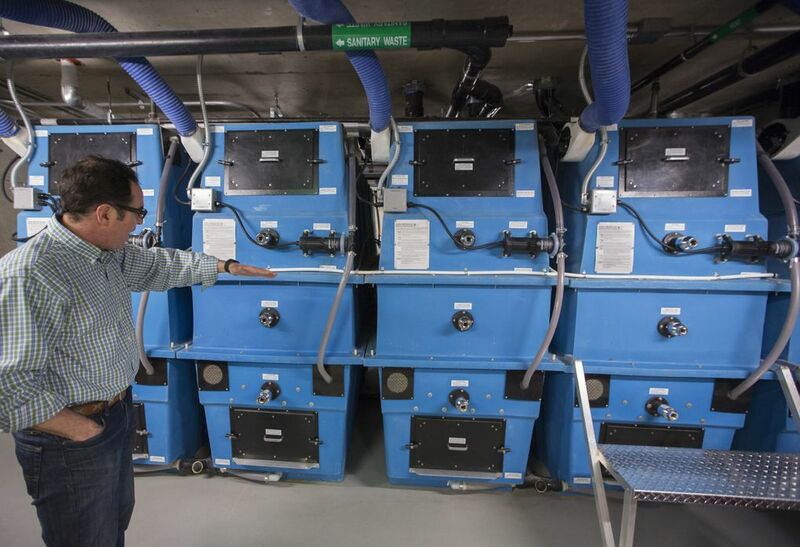 Because the building is designed to supply its own water for its tenants, the building manager had to become certified as a water-district administrator. The building collects rainwater in its 52,000-gallon cistern. Water draining from the sinks and showers gets filtered through a constructed wetland of gravel and horsetail, and then is put back into the earth. Special composting toilets don’t need much, if any, water to run. The biosolids sit in the building’s composting system for 18 months and eventually end up as potting mix at nurseries. Bullitt only pays sewer fees to King County when it uses the sewer. The center’s lower operating costs offset the higher upfront development costs. All of that means the rent its tenants pay is about the same as tenants in new office buildings downtown or in South Lake Union: Bullitt’s asking base rent-per-square-foot is $28 plus $12.18 for operating and maintenance. But tenants have to buy into the philosophy, too. 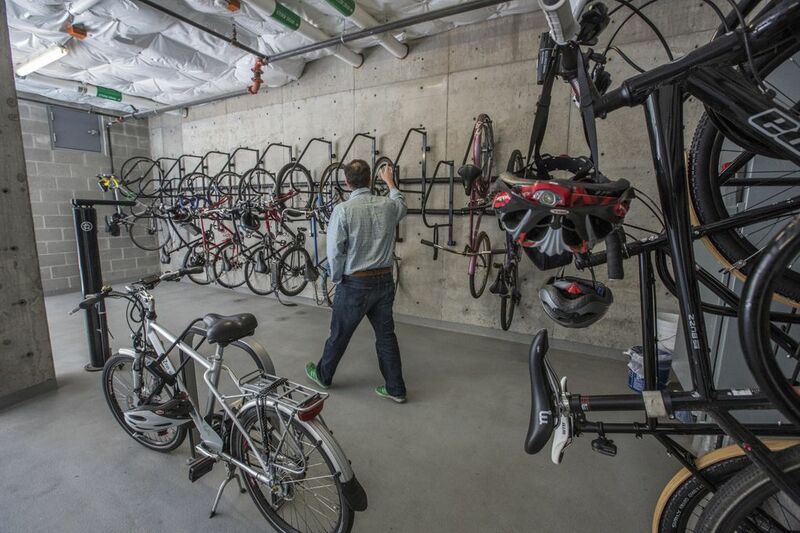 For one thing, the center’s parking garage only has space for bikes, not cars. The tenants also directly affect whether the building meets its energy-efficiency targets. The building’s property manager hosts wine-and-cheese socials for tenants, at which they get updates on the energy budget and tips on how to reduce waste, said Allan Montpellier, a principal at PAE, a Portland-based firm that designed the center’s mechanical and electrical engineering and is one of its largest tenants. PAE discovered its own workstations were wasting energy — the equivalent of four 60-watt light bulbs being left on at each computer. By replacing desktops with high-performance laptops and monitors, PAE reduced power consumption by more than 50 percent. By adding powerstrips with motion sensors, they were also able to turn off desk lamps and monitors when workers were away from their desks for too long. Tenants are encouraged to take the stairs, which offer a great view of the outdoors, rather than ride up the elevator, Montpellier said. Each suite has floor-to-ceiling windows that can be opened to let in fresh air and provide natural daylight. 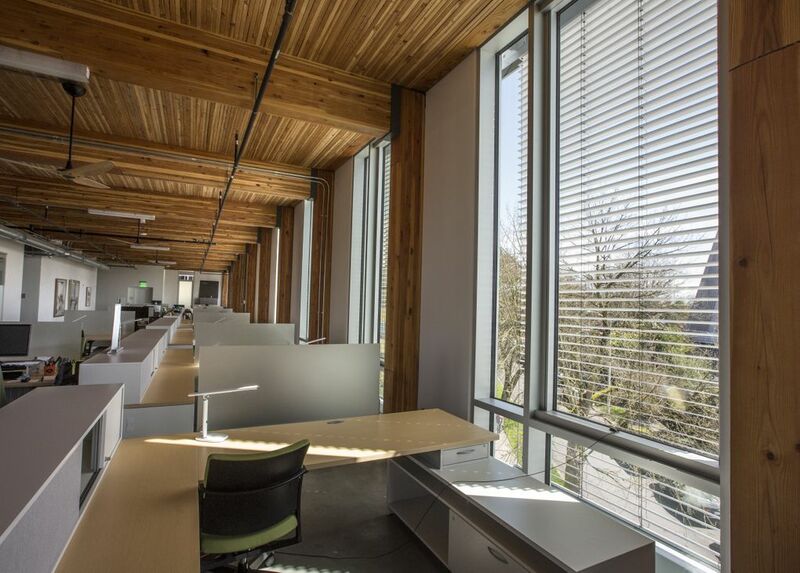 “It’s more comfortable than a conventional Class A office building because of daylighting and views,” he said. 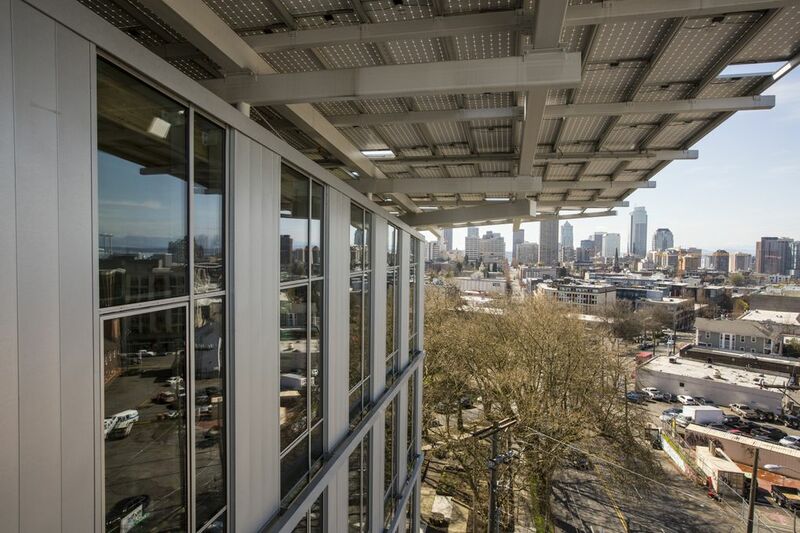 If the city wants more sustainable buildings like the Bullitt Center, said Hayes, it has to recognize that developers need to make a profit and reward owners who make the high upfront investments required. The center will constantly provide other environmental benefits over its expected 250-year life: For example, it produces no stormwater runoff. All the wood in the building comes from a certified sustainable forest. “No one’s paying us to sequester that carbon or save those fish,” Hayes said. The Bullitt Center, designed by The Miller Hull Partnership, will soon join an elite list of the world’s greenest buildings. There are only 21 buildings worldwide certified as “Living Buildings” by the Seattle-based International Living Future Institute. To be certified as a Living Building, a project must meet 20 requirements. For example, the building must generate as much energy as it consumes; it must supply its own water, and process its own sewage. At a conference this coming week in Seattle, the institute will name five more buildings that have met the Living Building Challenge, said spokesman Eric Freed. The Bullitt Center will be one of them.